The look and feel everyone is familiar with. 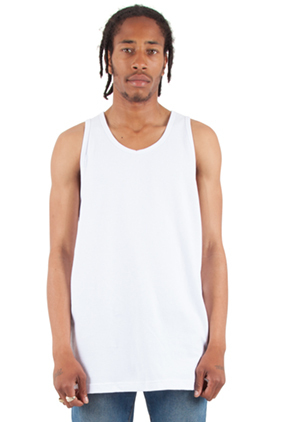 100% USA cotton, 5.9 ounces, 18 singles tank top. Self binding neck and armholes. 1" double needle stitched bottom hem. Durably knitted high-density fabric.